First Firebirds. Then Firebirds Rising. 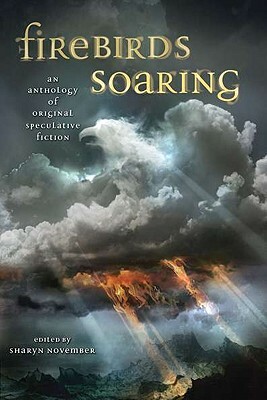 Now there is Firebirds Soaring, the third anthology of original stories by some of todayÃ•s finest writers. These authors, including Nancy Farmer (The Sea of Trolls), Ellen Klages (The Green Glass Sea), Margo Lanagan (Tender Morsels), and Jane Yolen (The DevilÃ•s Arithmetic), have brought new worlds and Old Magic to life. Mike Dringenberg, co-creator of Sandman with Neil Gaiman, contributes decorative vignettes. Locus calls the Firebird anthologies Ã’an impressive, influential original seriesÃ“Ã‘and the proof is in these pages.